Ras Al Khaimah-based real estate developer and investment company Al Hamra has announced the successful upgradation of its retail destination Manar Mall at an investment of $100 million. Announcing the several milestones for the newly expanded and upgraded Manar Mall development, Al Hamra said with this new development, the mall’s gross leasable area has increased from 27,000 sq m to 55,000 sq m, thus adding 80 new retail outlets. 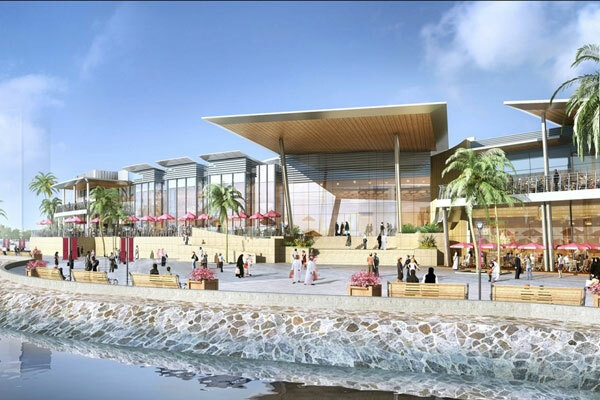 A key highlight will be Manar Mall’s unique waterfront promenade, slated for completion this summer. The development will boast a cinema on water, a range of food trucks, light shows, paddle boats and a play area for kids including water fountains, swings and trampolines, stated the developer. Located close to Ras Al Khaimah city centre, Manar Mall is developed and managed by Al Hamra. The mall is already home to renowned international brands such as Carrefour, Marks & Spencer, H&M, Sephora, Next, Mothercare, Boots Pharmacy, Bath & Body Works, McDonald’s and KFC, together with some of the UAE’s most iconic homegrown retail brands, including Paris Gallery, Sun & Sand Sport, Damas and E-Max. Following the expansion, the tally of the shopping mall has risen to 120 outlets including 30 food and beverages (F&B) outlets, it added. Al Hamra Group CEO Benoy Kurien said: "We are committed to delivering the ultimate must-visit, must -eturn entertainment complex by attracting leading international brands and a diverse range of F&B (food and beverage) outlets. Our vision has always been to be the largest and most visited mall in the Northern Emirates, further underscoring our position as the leading developer and investment company in the region." Marquee signings in 2018 included Landmark Group’s Ecco, Steve Madden, Carpisa, Koton and Pablosky stores while the leisure division, Landmark Leisure, one of the UAE’s leading multi-faceted leisure and entertainment firms, opened Tridom, the first indoor adventure park of its kind in the Nortthern Emirates, which has the tallest indoor drop tower in the Middle East, he stated. Home improvement and lifestyle store Al-Futtaim ACE chose Manar Mall to open its very first store in the Northern Emirates, while UAE-based Al Khayyat Investments, a leading Dubai holding company representing several leading international brands, opened its first Superdry store in the emirate, said the top official. Lals Group expanded into the region with the opening of stores including Homes r Us; leading American children’s brand, Carter’s and the unique lifestyle brand, Daiso Japan, he added. Al Shaya Group confirmed the opening of two new retail brands, Muji and American Eagle in 2019, the group will also introduce Shake Shack to the Northern Emirates, joining other F&B outlets which opened earlier this year including Mado, 971 Emirates Gourmet, Coffee Club, Al Kateam, Caliburger, Icons Coffee, Yummy Waffles and Dunkin Donuts, amongst others. According to Kurien, Novo Cinemas will undertake a renovation programme this year, introducing the first IMAX theatre to Ras Al Khaimah.